Support receiving goods where no purchase order (PO) or sales credit (SC) exists. The first step in deliveries is to create a ‘delivery’ and associate it to existing POs or SCs from your channel. A delivery can be created without an association, allowing the goods to be received first. 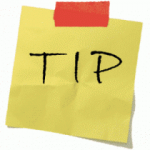 Then, a PO or SC can be created on the channel after receipt and the association can be made at the end. From deliveries on the main menu, open the deliveries screen. Next, click the ‘create new’ action button which opens the create new delivery modal. Provide a reference for the new delivery and select a warehouse to receive the goods into. Note, the receiving warehouse and location may be changed later in the delivery process. Next, either click ‘add’ to create the delivery without an association to a PO or SC. Or, click ‘associate to’ to make an association. 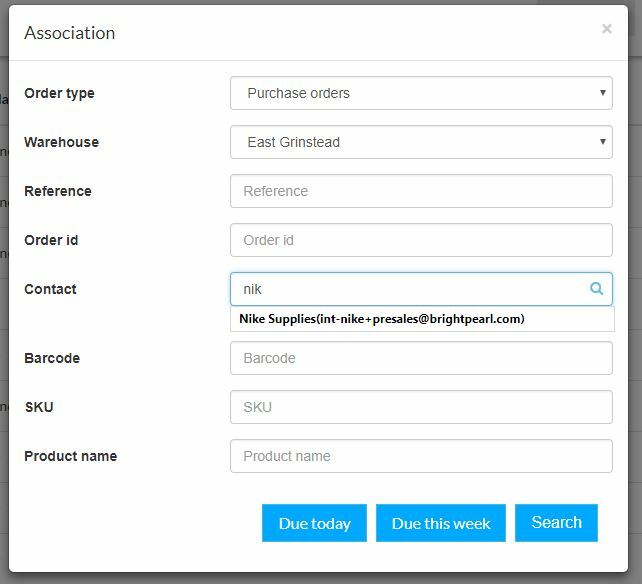 After clicking ‘associate to’, Warewolf opens a modal enabling you to set filters to search for relevant POs and SCs for the delivery. The next step in how to manage deliveries with Warewolf is to select one of the three search options. ‘Due today’ will return only orders that match the filters and where the channel delivery date has today’s date. The orders list returned by Warewolf allows one or more orders to be associated with the delivery. This is particularly useful where several small POs or SCs can be processed by a warehouse assistant (WA) in one go. Note, deliveries from multiple suppliers or SCs from many customers are allowed. Make a selection and click ‘save’. If you can’t find the orders you need, click on the back button to return to the search screen and amend the filter selections. Your new delivery now appears at the top of the deliveries screen. We suggest that you create these statuses in your channel so that Warewolf can keep the channel up to date with delivery progress. You can of course map these fixed delivery status names to different names in your channel but users may find that confusing. Warewolf allows you to create additional delivery status names and map them to channel statuses if your workflow requires. When a delivery status changes in Warewolf, the channel order is updated to the mapped channel status. Changes in channel order statuses DO NOT change the current Warewolf delivery status. Select a delivery in the deliveries screen and click the ‘receive’ action button. Warewolf opens a model where you can select the warehouse and location for delivery. The generalised process is that goods are received into a specific location and are reconciled against the PO or SC. Then the ‘put away’ step detailed later in this article transfers stock from the delivery location to final storage locations. Where your business accepts sales orders when there is no inventory in stock, you probably want to receive deliveries into a place where the channel automatic allocation process for inbound sales orders cannot ‘grab’ incoming stock. In the example below, I use a virtual warehouse called ‘deliveries’. This virtual warehouse has three locations corresponding to delivery bay areas. Next, click ‘add location and select zone, aisle, bay, shelf and bin. Finally, click ‘add selected location’ then ‘save’. Warewolf opens the receiving screen for the delivery. The receiving screen enables you to scan in products, park the delivery (perhaps the products delivered don’t match the order for example), receive selection and receive all. ‘Receive all’ sends a delivery event to the channel receiving all quantities in the screen regardless of what has been scanned. Receive all is a quick way to deal with small orders, particularly customer returns (SCs). ‘Receive selection’ updates the channel with the quantities scanned so far. Let’s say that the delivery below arrives in several boxes. Very large water bottles! In the first box there are 5 pink water bottles. Scan in, use the + button or quick quantity feature to increment 0/10 to 5/10. Then click ‘receive selection’. When the screen refreshes, the pink water bottle quantity now shows 0/5. In this way, it’s easy to receive a delivery one bite at a time until complete. There is a separate article about the quick quantities feature accessed via the blue > button. For example, the order is for 10 pink water bottles but only 8 have been received. After receiving is complete, the delivery will show 0/2. In this situation, a suggested approach is to add a comment and set the delivery status to ‘parked’. A manager can review the comment, discuss with the supplier and take appropriate action. That may include changing the delivery status to ‘Put away’.